THE MOST EFFECTIVE WAY TO PREVENT ANKLE SPRAINS IS A COMBINATION OF NEUROMUSCULAR AND STRENGTH TRAINING. PART TWO DIVES INTO STRENGTH TRAINING. The key component of ankle sprain prevention is addressing the neuromuscular system – as I talked about in part 1 – and in part two I’ll discuss how to build on that foundation of ankle sprain prevention via targeted strength training of specific muscle groups that are directly and indirectly involved in creating and maintaining stability at the ankle and lower leg. Admittedly, the research on targeted strength training is still up for debate – some studies show it does help and some studies show no difference. However, the way I see it , it’s not going to make anything worse and we do know for a fact that strength training will help prevent overall injury while improving performance. It’s a win-win-win. The key here is having an efficient and effective plan that integrates into your current routine. And that’s what I’ve built out in this post. I’ll go through each of the key muscle groups, four in total, and the strength exercises to focus on. At the end, I’ll lay out the full ankle sprain prevention plan, including the neuromuscular training we discussed last week. The posterior tibialis – or post tib for those who are friends with it – runs from the backside of your leg, near the knee, travels down and inwards towards the medial malleolus (that bump on the inside of your ankle), and inserts on the a bone near the middle of your arch called the navicular. It’s an extremely important muscle generally because it controls motion at your foot and helps stabilize the arch but the reason why I’m including it for ankle sprain prevention is it’s symbiotic relationship with the aforementioned peroneals. The post tib and peroneals work in conjunction with one another, forming what I call a “stirrup” on the foot and ankle. It’s a beautiful relationship when both are functioning well but if the post-tib doesn’t have enough strength or endurance, the peroneals then get overstressed - it’s like having to do everything in a group project. To avoid that, we want to make sure the post tib is up to snuff. Now we’re going to move away from foot/ankle muscles to larger muscle groups that create overally stability in the lower leg and ankle during movement. The first are…. Both the hamstrings and glute max play a key role in stability for the ankle because they decelerate and control the lower leg immediately before and after the foot touches the ground during running, landing, and change of direction. They’re putting the ankle in a “good” position as it contacts the ground and setting it up for success. Specifically, the hamstrings contract eccentrically – meaning they lengthen while contracting – immediately before the foot touches the ground. The glute max, specifically the lower fibers, fire as your foot touches the ground and throughout the period in which the foot remains on the ground. The last, but certainly not least group, are…. If I had to pick just one muscle group to work on to avoid ankle sprains, it would be the evertors. But if I had the option of two, it would be the evertors and hip abductors. These are muscles on the outside of your hip – the key driver being the gluteus medius (glute med) – that control rotation of the leg via the femur (thigh bone). Like the hamstrings and glute max, the hip abductors are also responsible for control and stability of the lower leg and putting the ankle in a “good” position but in a different way. 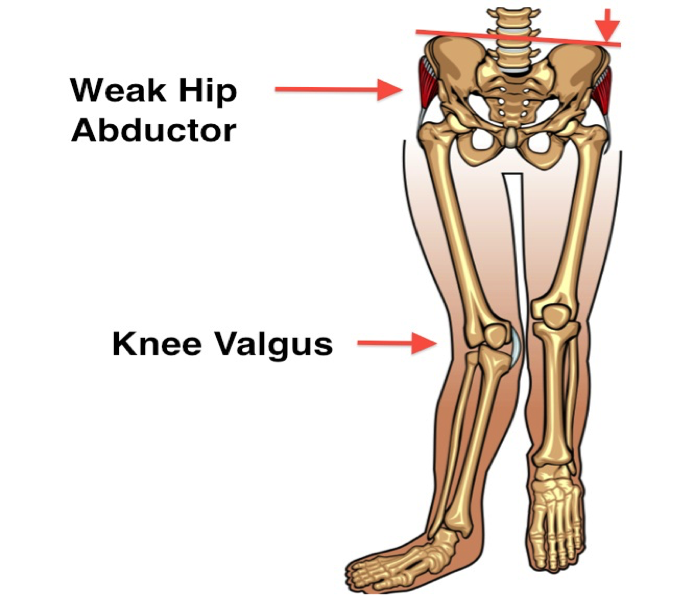 They keep the entire lower chain – starting at the hip to the knees to the ankle to the foot – out of excessive internal rotation which can lead to a whole slew of issues along the entire chain, including impaired balance and stability at the ankle (fun fact: weak hip abductors are often the root cause of knee pain). It’s critical to train the strength and endurance of these muscles and nearly every athlete I initially test has weaker hip abductor muscles. Additionally, there’s some research showing that ankle sprains actually lead to these hip abductor muscles not activating as well. Thus, lets get to work! 1 - Your vestibular and proprioceptive systems are the managers - they are responsible for recognizing when there’s a problem, “oh no, I placed my foot in a high risk position! oh no, the ankle is turning inwards!”. 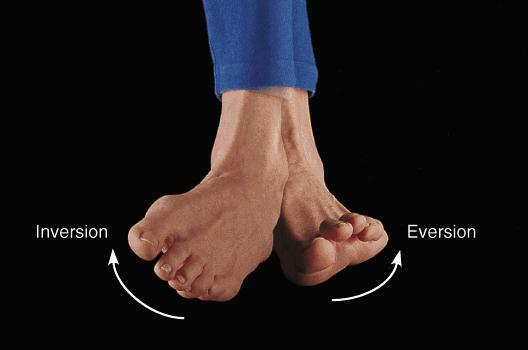 2 - The foot eversion muscles are the workers directly responsible for moving the ankle back into a safe position. 3 - The post tib, hamstrings, glute max, and hip abductors are the workers indirectly supporting both of the above and placing the entire lower leg and ankle into a stable position. All three groups work simultaneously and in conjunction with one another. It takes a village and teamwork to make that dream work. Whether you’ve suffered from recurrent ankle sprains, chronic ankle instability (CAI), or simply want to prevent your first, use these targeted progressions to fire up your ankle’s neuromuscular system and key muscle groups. In 10 minutes per day, you’ll reduce your risk of ankle sprains while upgrading and unleashing your overall athletic performance as well. Bet. Health and performance are two sides of the same coin. Thanks for reading and until next time.